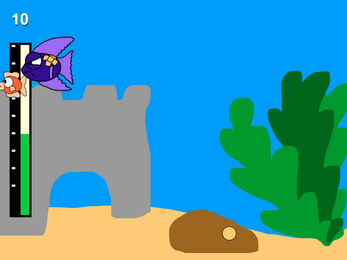 Take control of Bob Bob on his quest to eat lots of fish flakes and grow big and strong! Watch out for Bully fish who will push you around and steal your food! 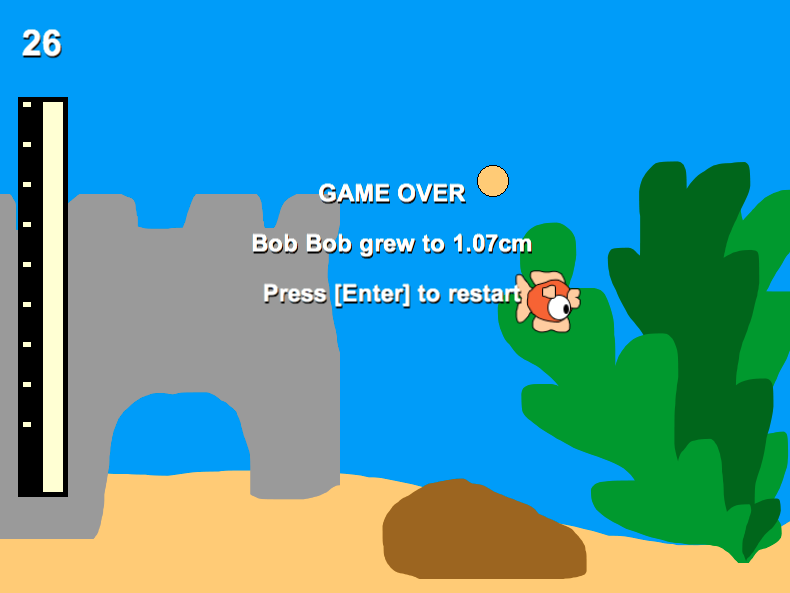 Don't let Bob Bob go hungry or he will die!